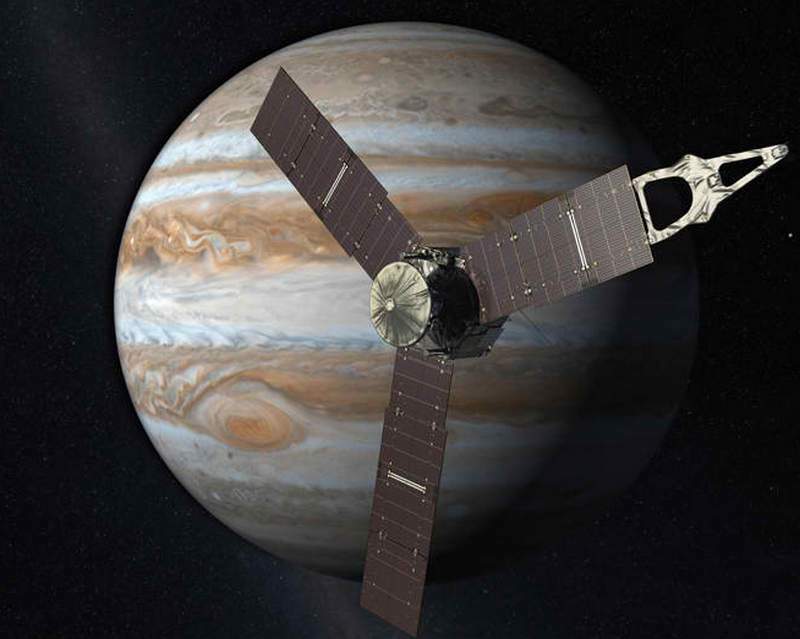 The Juno spacecraft launched aboard an Atlas V rocket from Space Launch Complex 41 at Cape Canaveral Air Force Station in Florida on Friday, Aug. 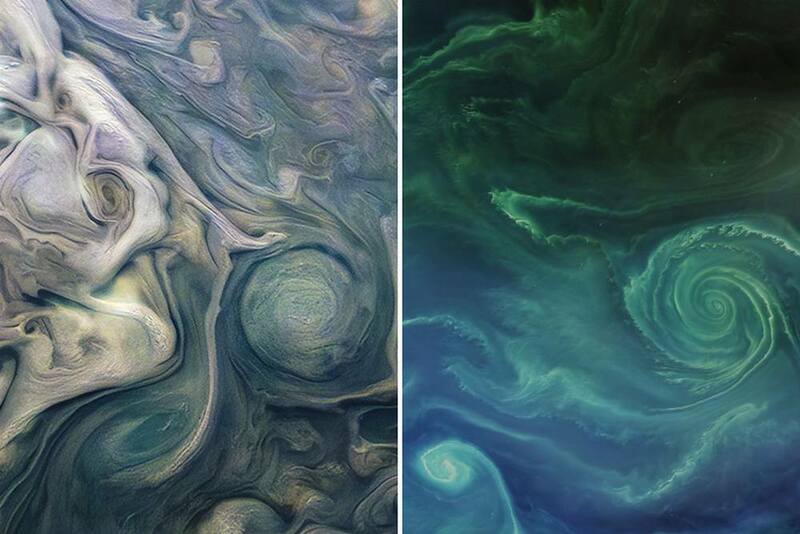 In these satellite images an eddy on Earth looks a lot like an eddy on Jupiter. 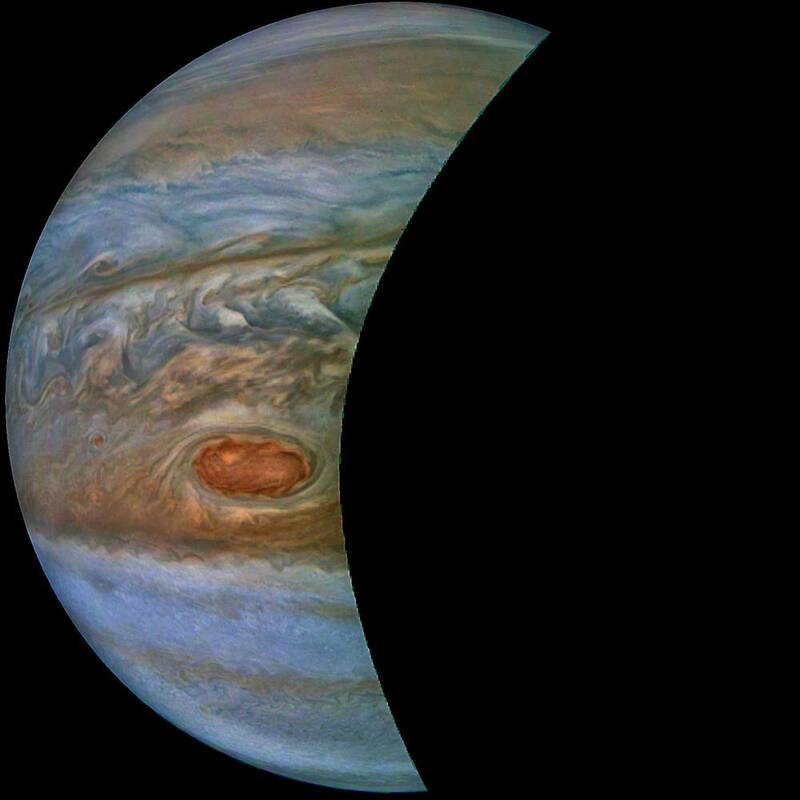 NASA’s robotic spacecraft Juno is continuing on its 53-day, highly-elongated orbits around Jupiter. 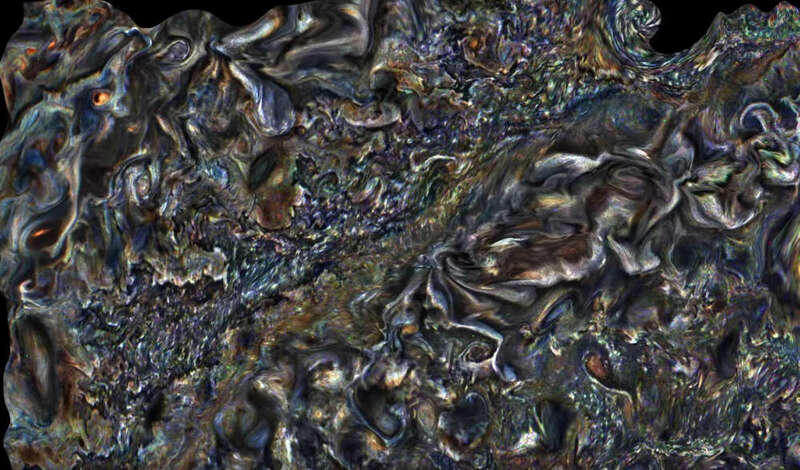 Take a look at these amazing new NASA’s Juno spacecraft Jupiter images. 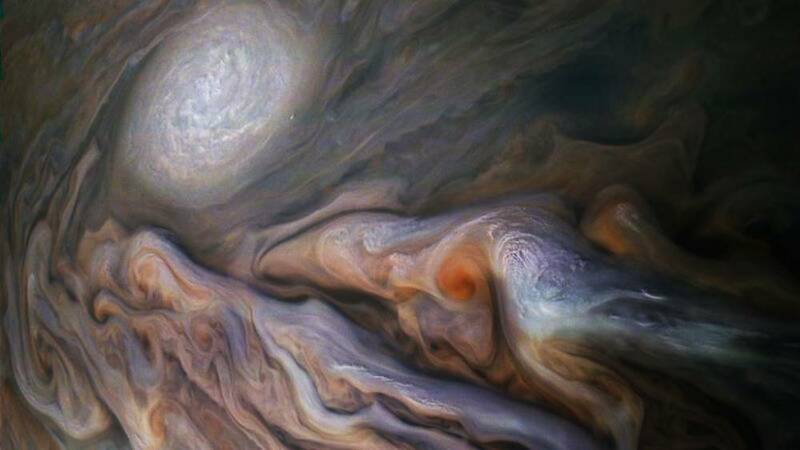 Spacecraft Juno’s latest image of clouds on Jupiter is amazing. 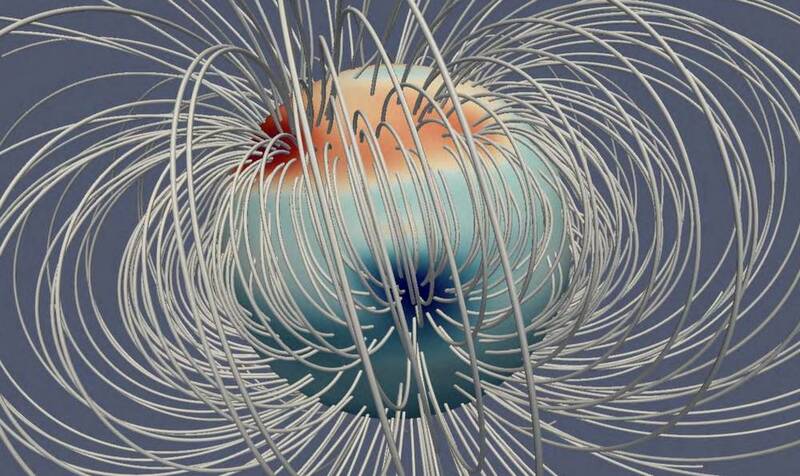 Jupiter has the strongest and different planetary magnetic field in our Solar System. 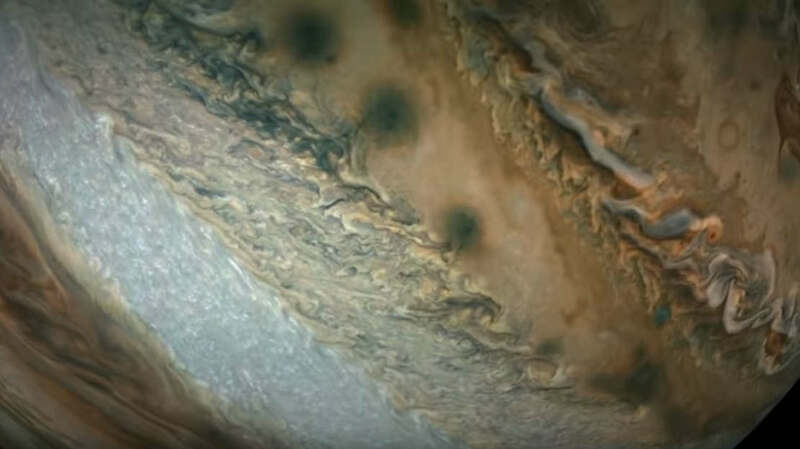 Jupiter’s northern hemisphere striking atmospheric features, captured in this series of color-enhanced images from NASA’s Juno spacecraft. 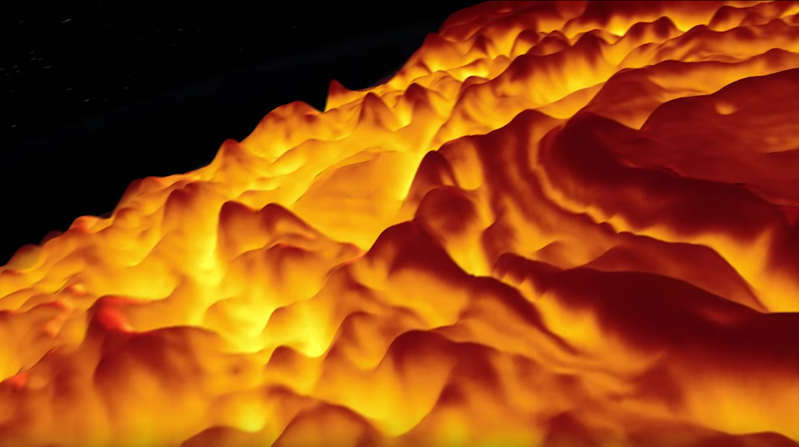 Take a look at this hypnotic animation of Jupiter’s giant clouds’ motion. 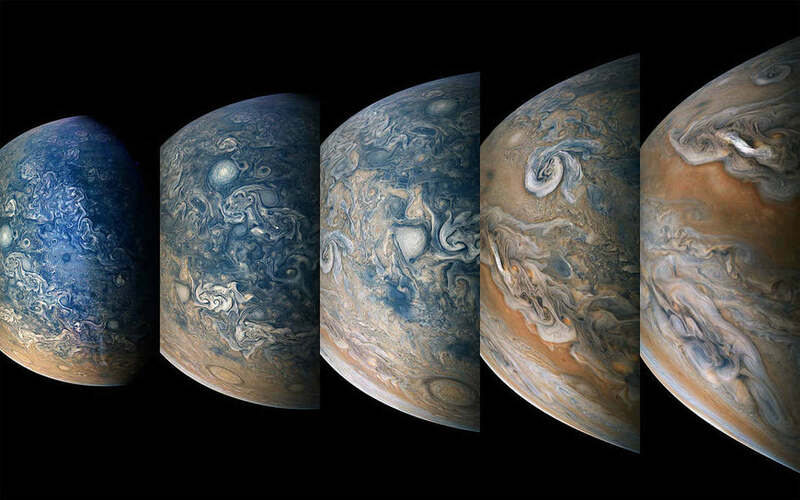 In this animation a breathtaking low 3-D flyover Jupiter’s north pole central cyclone and the eight cyclones that encircle it. 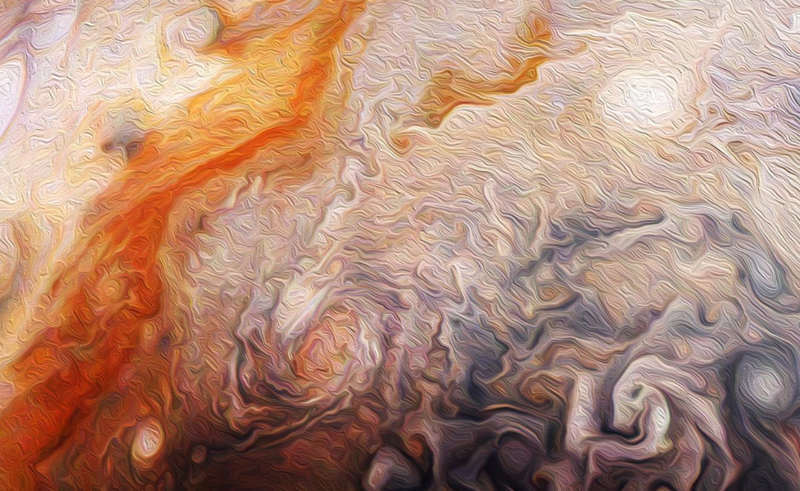 A planetary post-impressionist work of art, form this atmospheric bands, vortices and brush strokes of Jupiter’s signature.